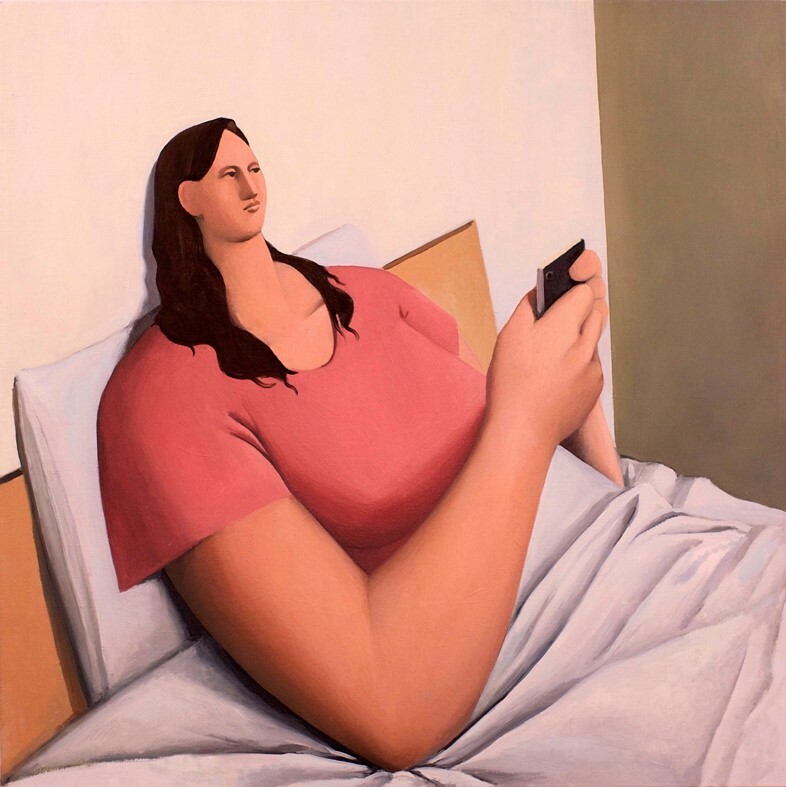 Brooklyn-based artist Tony Toscani makes paintings for everybody who has ever spent a Friday evening getting ready to go out, sat down on their sofa to scroll for a minute through Instagram, and looked up again three hours later to find that the sun has gone down and the party’s almost over – before giving up on the idea altogether in favour of just going to bed instead. 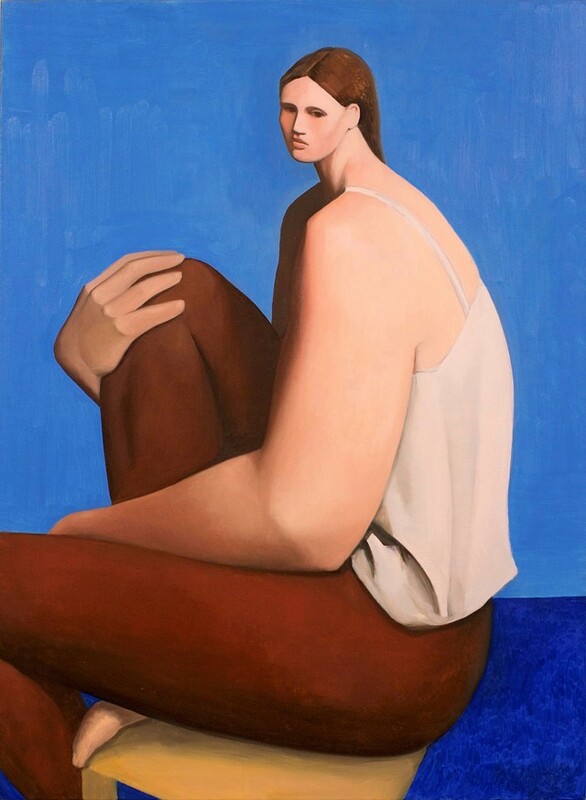 His vivid figurative paintings – which depict young, beautiful people sunk in a soporific stupor, seemingly induced by the sheer much-ness of contemporary life – are as recognisable as they are jarring. They are of us, we viewers quickly realise, and our friends and peers; we are the subject of this aesthetic study, and we didn’t even know we were participating in it. Abstract though his subjects are in their appearance – their eyes gaze blankly into the distance; their smooth fleshly limbs carefully arranged around them – they are recognisably ‘us’ in their actions. 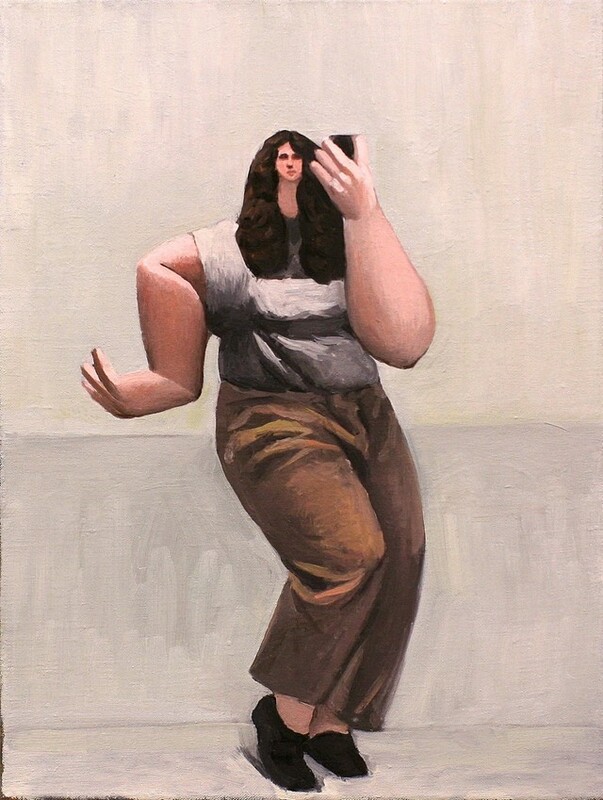 One woman, her long dark hair falling around her shoulders, distorts her body into an angular position for the sake of her phone camera, like a slave to her screen. 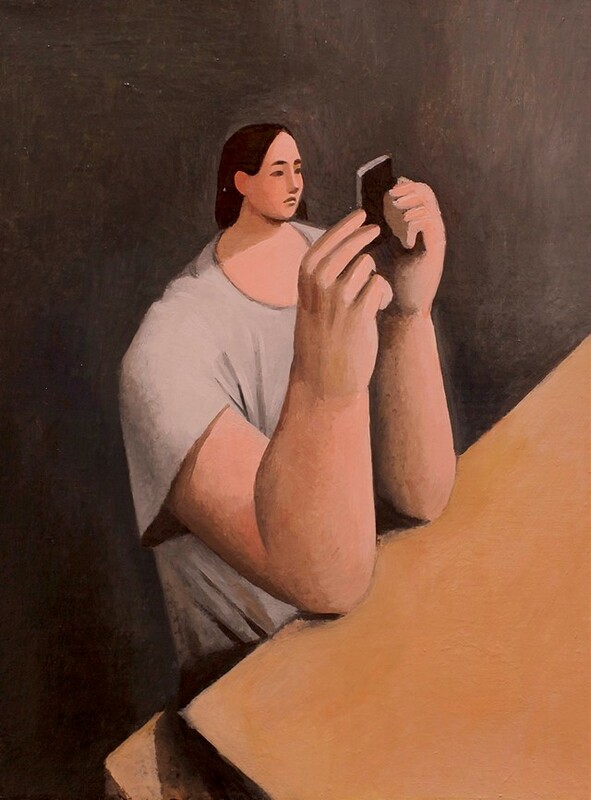 The painting is called Selfie Pose. In another, a man in a slouchy grey sweatshirt clutches a mug of coffee at his kitchen table, his chin thrust into the palm of his hand as he stars absentmindedly out of frame; a modern portrait of melancholia. Summertime Sadness by Tony Toscani and Rosalind Breen is on display at Massey Klein gallery, New York, until August 26, 2018.